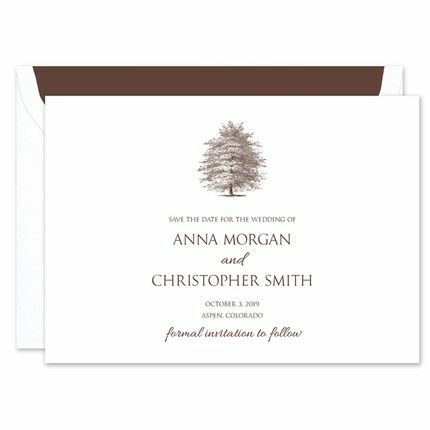 This triple thick save the date card features a tree centered at the top of the card. The tree motif prints in the same ink color as your personalized text, creating a cohesive look. Your event details and personalized text are printed in your choice of font, color and print method.